In spite of its size and exotic appearance, red jade vine plants aren?t difficult to grow. 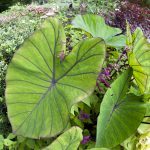 Want to learn how to grow this tropical beauty in your own garden? This article that follows provides information that can help with that.